Hello my happy friends! 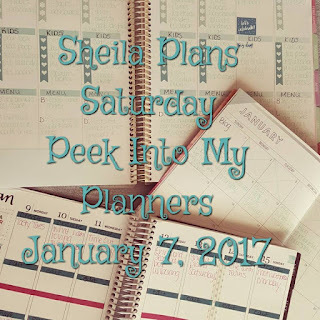 If you are a planning enthusiast like myself, then what I am about to share might be a bit redundant, but I hope that by sharing I can inspire you at whatever planning level you are at to begin creating and having fun in your planner! I have been an active planner for the last three years and going into my fourth year I am using what works for me, and letting it to continue to evolve to be my own personal assistant! I actually am using three at the moment; two from Erin Condren and one from Recollections. From Erin Condren I am using a life planner for organizing my YouTube activities, and a monthly planner (simpler version of the life planner) to keep track of blogging & writing. The Recollections (a Michael's Brand) is what I am using as my home management planner which I use to keep track of projects throughout the week, as well as chores for the kids and our menu plan for the week at hand. You can use colorful pens, plain pens, or heck even pencil! I like to decorate at a minimal amount, and the washi tape I often use for outlining various boundaries. Sometimes I mark off weekends, sometimes I use it to cover up dead empty space. I *sometimes* use stickers, and am finding that I only like to use them if they serve a purpose whether it be functional or inspirational. 5. Kids chores that I would like for them to accomplish each day. These are often the same for a length of time, and then I add to them as those things become habit. I have teenagers and now is the perfect time to get them in a routine of taking care of many things in one day. Please note that I do not put all the things down that I expect them to do. This is just a start and they often know to ask what else needs to be taken care of. 6. Menu. I do post our menu for the week for all to see. It stops with the "what's for dinner?" question and by including what I am cooking for breakfast they kind of hold me accountable to sticking to my plan. As the mom and the cook of the home, I always reserve the right to change my mind on a whim and they usually are pretty good with allowing me to be spur of the moment, but with a menu plan written down, that doesn't happen too often. This always helps when I am in a slump, because I can go back and look at what I cooked a few months ago, and often find a recipe that we were enjoying but hadn't cooked in a while. 7. I always try to include an inspirational quote or a reminder for that week. Sometimes I need to be reminded to be more flexible and to enjoy life. Other times, I need to be reminded to be more disciplined. My needs are ever evolving just as I am sure yours are. 1. Plan what videos I want to film. 2. Use space to write down links to share, things I want to put in the description box, and even other youtube channels I want to link up to. 3. I keep track of WHEN I am posting what video and where it needs to be shared via social media. Through Youtube I already share it to google and twitter. 1. What blog post I want to write and when to share it. 2. On the side bar I am keeping track of word count for whatever novel I might be working on at the time. Do you use a planner? I'd love to take a peek into it! 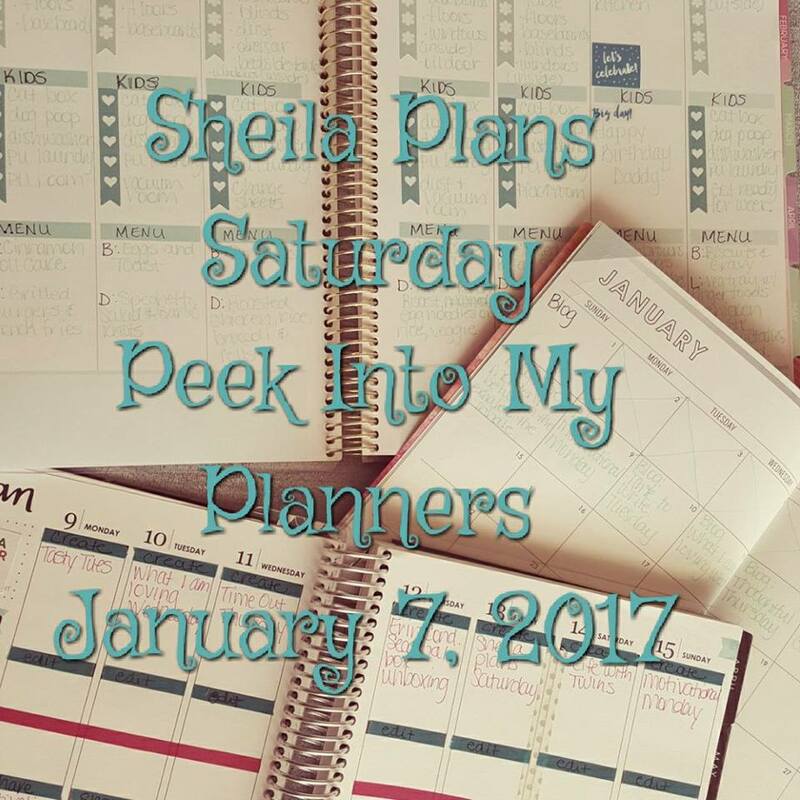 If you would like to see my planners in action feel free to hop on over to my YouTube channel and watch today's video: Sheila Plans Saturday: January 7, 2016! :) If you are not already subscribed to that channel you should! There is new content posted *almost* daily!